At Bruce Clay, Inc., we’ve seen results with clients who are as committed to in-house SEO success as we are. As an SEO agency, we work to better educate our clients so that it creates a ripple effect within their corporate business structure. Internet marketing and SEO are becoming more and more crucial to businesses in every industry, and we focus on putting the power into the hands of our clients. One such client is Salem Web Network (SWN). SWN has been a long-term partner of ours who experienced incredible results because of their willingness to learn, adapt and implement. When in-house marketers such as the team at SWN are proactive in understanding the process, are open to taking suggestions from the people who understand SEO, and truly work with agencies as a part of their team and vice versa, everyone succeeds. A case study of a sampling of six month’s worth of data for SWN, beginning on Day One of becoming a client of BCI, showed massive improvements in rankings, traffic, PageRank and conversions. Aside form the technical tactics and overall strategy we provided, what truly made this work was SWN’s commitment to providing support from the top down, and allowing for resources when needed to ensure SEO was not just a “phase” in the big-picture marketing plan. In this post, we’ll talk about some of the elements that go into successfully implementing in-house SEO on a large scale, using best practices and SWN as an example. If you want to view a snapshot of how Salem Web Network and Bruce Clay, Inc. created in-house SEO success, view the case study. Implementing a large-scale SEO project in-house is no easy task — especially if you’re working with a big company that has several Web properties. And even though the scope and strategy varies from client to client, the ingredients for in-house SEO success are typically the same. This includes things like company-wide commitment, SEO education and training, access to an expert knowledge base, creating operational processes and much more. In a recent post, Jessica touched on some of the things required for implementing in-house SEO and what you need to succeed. SWN is a perfect example of a client that understood what was necessary to their SEO success. Yesterday, I gave a presentation alongside SWN on the importance of SEO to in-house marketers. This presentation was arranged by SWN because they’ve seen such success with their in-house SEO, that they wanted to share the importance of it with other businesses in their industry. To briefly give a background on SWN, it’s the online division of Salem Communications, a national broadcasting and publishing corporation. When SWN partnered with BCI, it had already experienced success with its websites without SEO, but felt it was at a marketing plateau. Taking a proactive approach to SEO education on both BCI and SWN’s part, ensuring the company was setup for long-term success. A company-wide commitment to SEO, with buy-in from the top down, and a willingness on SWN behalf to implement the tools given to them by the team at BCI. Implementation as part of an ongoing business management strategy and not just a process or set of tasks done once. At BCI we have a strong commitment to educating our clients so as to create an environment of learning and continuing success. If a client better understands the basics of SEO, as an agency, we are ensuring that a true dialogue will be possible between our team and the in-house SEO/marketing teams. The benefit of this strategy serves both agency and in-house teams. In-house marketers will understand the process and what goes into a solid SEO strategy, so they are more open to the suggestions we are making. In the meantime, they learn how to implement SEO on their own, so they can be independently successful. That doesn’t mean in-house marketers will abandon an agency the moment they get the information they need. The initial knowledge transfer is more of a process to familiarize the in-house marketers with what SEO is, why it’s important, what to avoid, best practices and more. At BCI, we have a long-standing tradition to invite all clients to the SEOToolSet® standard and advanced training. In the case of SWN, we invited the Web marketing team to our SEO training classes so they could become acclimated with SEO as a whole and our practices. SWN jumped on the opportunity, and from top-level C-class executives to boots-on-the-ground implementers, they all took part in the education learning process. While not everyone takes us up on our invitations for SEO training, the clients that do, certainly experience the advantages. These types of clients see the opportunity that education provides, allowing their company to be an active part of the SEO strategy, versus just a one-sided relationship. The people who sign the checks and run the client’s company – those are the same people who need to be committed to the SEO vision. That doesn’t necessarily mean the owner of the company or all executives will be an active part in the SEO process, but without their buy-in, the in-house marketers will not receive the support they need on a company-wide level. For any given website, you have a handful of key stakeholders, and not every one of those stakeholders works together in the same team – or even in the same location, in some cases. When you have top-level buy-in, you have the ability to work as a team towards an SEO goal, regardless of if you’re working for a small, large, national or global brand. For a large company like SWN, this was a key element in the company’s SEO success. 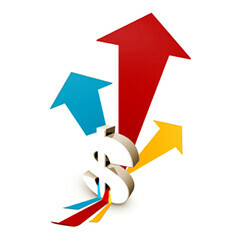 The decision-makers at Salem understood the value of SEO to business success. This allowed for resources and restructuring, so that SEO implementation was possible on a large scale. 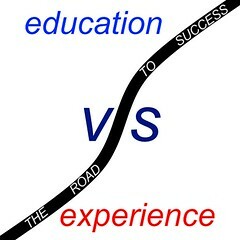 And, the marriage of education and buy-in allows for ease of implementation. The team at BCI worked closely with the Web marketing team at SWN to put SEO concepts into practice. Because SWN understood the recommendations being made, they were able to be a part of the strategy and were enthusiastic to implement suggestions. If a client is looking for more in-depth SEO support, a good SEO agency should not only take the time to teach SEO concepts, but also educate on how to implement SEO into a company’s core business operations, especially if it’s on a large scale. At BCI, we don’t just talk technical jargon; we take the time to understand our clients’ businesses and work towards the common goal of their overall success. For SWN, BCI assisted their team to streamline their SEO operations, so it became a functioning and enduring aspect of the company’s marketing. If handled correctly, the relationship between in-house marketers and SEO agencies becomes a lasting partnership, even after implementation. After initial implementation, agencies then serve as consultants, teachers and sounding boards for SEO decisions and tactics moving forward. And with SEO being an ever-changing practice, agencies can serve as an extension of in-house marketing for a long time to come. What are some of the things that have worked for you and in-house SEO success? Please share with us in the comments below! Chris Hart is director of eastern region operations for Bruce Clay, Inc. You can contact him via twitter @Chris_Hart. Great article. I enjoyed reading an SEO article based on a project of larger proportions. I have found the same thing true in educating a client on SEO. Many firms try and hide info from their client rather than educate them and get them involved. It is their company we market, they need to know what is going on and why on certain level. Sometime I think I spend too much time trying to educate the client, but to me it just make since.